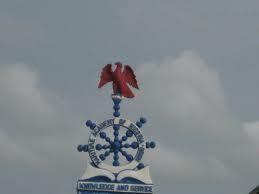 Maritime Academy of Nigeria, MAN school fees schedule for the 2014/2015 academic session is out – National Diploma (ND), Higher National Diploma (HND), Postgraduate Diploma (PGD) Programmes. Below is the amount payable as school fees by Maritime Academy of Nigeria (MAN), Oron, National Diploma (ND), Higher National Diploma (HND) and Post-Graduate Diploma (PGD) students. 1ST SEM. 2ND SEM. 3RD SEM 4TH SEM. 1ST SEM 2ND SEM. 3RD SEM. 4TH SEM. NOTE:(A) The Medical Fee in (8) above covers Medical Consultancy and the use of medical facilities in the Academy’s Clinic. The Student will bear the cost of treatment and purchase of prescribed drugs. (170 per day x 7 days X 19 weeks = N22,610.00 for first and final semester cadets and (170 per day x 7 days x 17 weeks = N20, 230.00) for semester 2-3. MTBS Cadets will pay N1500.00 less in each case of Boiler Suit. 1) The above scale of fees is subject to variation as the need arises. I am undergraduate in the department of mechanical engineering can I do marine engineering for HND? i got addmssion into maritime bt i hv nt reported 2014/2015, can i still report at the academy? aniel, you can still report if you had done the necessary registration. Nice….but please i wont to know if HND forms are still on sale…i am a student from Lagos aviation and Maritime business academy with Diploma in Shipping management,i want to aply for maritime transport and business in the maritime academy Oron please how do i aply? @Aribge joshua oke, no longer on sale.